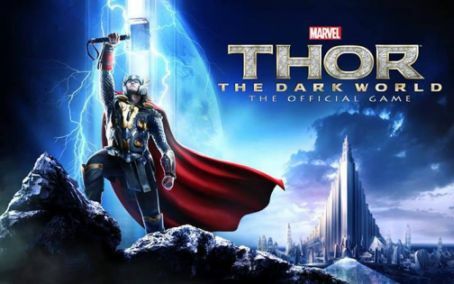 The popular game developer Gameloft has released a new game, Thor: The Dark World for Android and iOS devices. 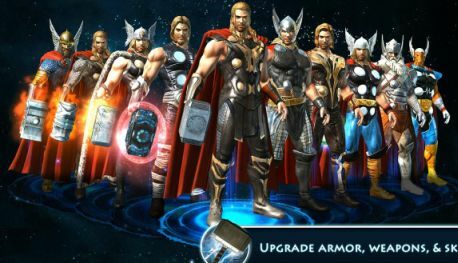 Gameloft has partnered with Marvel Games to develop this game after the successful release of Iron Man game. 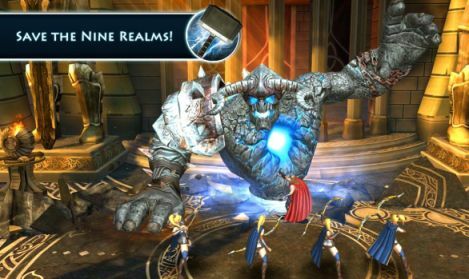 The game based on the famous movie Thor and the game released before the launch of the sequel of the Thor movie. The Thor game is an action-packed adventure, the story of the game is about a lord of the Dark elves and ancient enemy of Asgard, Malekith leads an invasion to destroy the Nine Worlds. You will play as Thor and stop the Dark Elves from plunging the universe into darkness. You can get help from Asgard’s greatest warriors to stop Malekith’s dark ambitions and restore order to the Nine Worlds. Train and fight alongside legendary Asgardians such as Sif, Heimdall and the Warriors Three. Summon 7 types of Einherjar, valiant Asgardian warriors, to help you tactically bring down foes. Upgrade and unleash your allies’ unique abilities, such as teleportation and healing. Complete 90 fast-paced missions, each with different challenges and goals. Traverse the Realms that are under siege by the Marauders and Dark Elves, and free them with your Allies. Face down an unrelenting onslaught of Jotuns, Marauders, Rock Giants, Dark Elves, and more. Unlock and upgrade 10 powerful hammers and armour sets for Thor. Learn new devastating special skills for Thor and then decide which to upgrade and equip for battle. Battle waves of increasing difficulty that pit you against Malekith’s armies in our 4 Survival Arenas. Compete for the top spots on the weekly leaderboard for unique rewards. Reach the top spots on the Friends leaderboard for greater rewards! Note: This game requires 1.5 GB of free storage in your device.